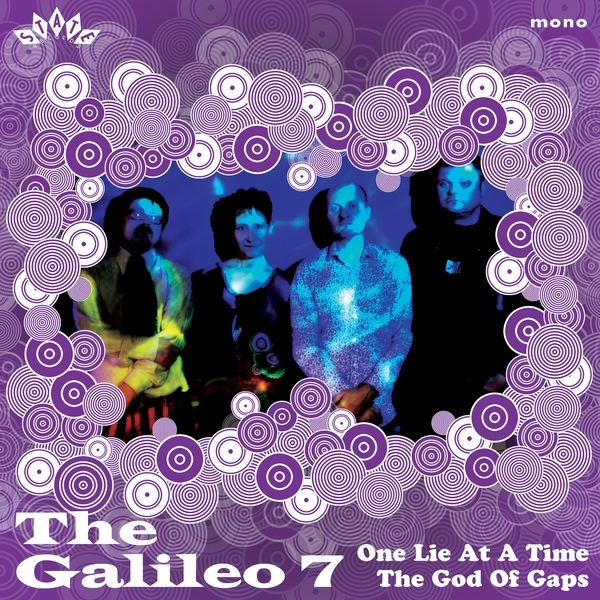 After the successful release of the album False Memory Lane last year, The Galileo 7 roar back with two fiery garage-psych-pop songs on a single slab of vinyl: “One Lie at a Time” and “The God of Gaps.” There is a slight personnel change from their 2014 album with Mole moving from bashing his bass to smashing his drum kit and their original bassist Paul Moss returning to fill the void left by Mole. The combination of the rocket-fuelled drumming, four-part vocal harmonies, trippy organ and Mellotron, and fuzzed guitar provides some new psych-power pop songs from England. This is a double A-side single, meaning no B side, and could have easily been recorded in the 60s or 70s. Recorded in state of the art, ear-defying mono, the single was just released on March 16. So grab yourself a copy of this limited edition picture-sleeved piece of vinyl, it is a harbinger of more things to come from The Galileo 7. Kim Seviour Dives into a "Chiasma"